2 Hour In Home Consultation $179! Portland, Oregon Interior Designer, Best of Houzz 2012, 2013, 2014, 2015, 2016, 2017 and 2018. At Jenni Leasia Design, we create fresh inviting spaces that mesh creativity and style with the practical needs of our clients. Our work ranges from large scale new custom builds and whole house renovations to bath remodels and home furnishings projects. We bring together clean timeless design with superb client communications and project management skills. We embrace technology in our practice to communicate design concepts clearly and to increase the overall efficiency of each project. Our clients appreciate our focus on creating beautiful and personalized homes for them without ever losing sight of the budget requirements and timeline. We believe well designed environments add comfort and enjoyment to the daily rituals of our lives. This is what we strive for with every project - to make our clients feel happy at home. Find out more about our process at jennileasiadesign.com! We would love to hear about your project and discuss how we can help. Nifelle Design Fine Interiors in Portland, Oregon offers full-service interior design to residential clients with projects throughout the United States, from Hawaii to the Hamptons. While our scope of service is broad (specializing in soup-to-nuts service, e.g., from furnishings to flatware), we are known for our attention to detail. Whether a living room makeover or a whole house remodel, Nifelle Design has the technical and artistic expertise to help clients achieve their design vision. Featured by Luxe Magazine, Gray Magazine, Portrait Magazine, Oregon Home, The Oregonian Homes & Gardens, Sunset, and Angie's List (perennial winner of the Super Service Award), Jennifer’s work is recognized for its classic and timeless elegance and livable practicality. Full service interior design services including kitchen and bath design, whole house remodel planning and design, space planning, custom furniture, custom window treatments, interior decorating, seasonal decorating, organizing, accessories, color consultations and cabinet design. Our interior design services transform your space into highly personalized, functional sanctuaries that exude personality, purpose and comfort. With more than a decade of experience beautifying interior spaces, and established relationships with an exceptional team of builders, contractors, and artisans, Lord Design specializes in creating one-of-a-kind home spaces. 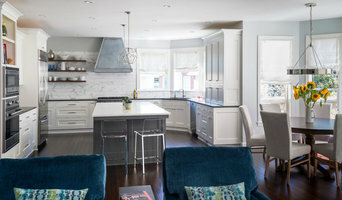 Best of HOUZZ 2019, 2018, 2017, 2016, 2015, 2014, 2013, and 2012. We excel at managing each individual project with personal attention to every detail. At GHID we believe in creating sophisticated and intimate environments. Our team works together to create distinctive designs, which are tailored to the lifestyle and desires of each client. Our talented designers combined with our partnerships with contractors and vendors, uniquely positions GHID to facilitate projects from inception to completion. We believe our value to the client lies in the integrity of our design and our ability to execute and administrate our projects. My goal is to make sure a client's design ideas come to life while staying within budget. My design philosophy embraces the styles I love most — elegant with modern influences. Yet the client's vision and project needs always come first. For me, the ultimate compliment is a client who calls on me for another project. I've been delighted to see many clients return in the twenty plus years I've been providing interior design services. Introspecs is a full-service Interior Design firm, owned by Principal Designer, Allisen Larsen. Virginia Gormley, Senior Interior Designer for Introspecs, operates the Portland, Oregon branch + provides full interior design services. Intropecs serves clients throughout the Pacific NW; providing holistic, intelligent design in both residential and boutique commercial environments. With over 11 years in the field of Interior Architecture and Design, Introspecs uses an intuitive and collaborative approach to design. Creating an open-dialogue and team-based atmosphere, Introspecs finds satisfaction in listening to and building on clients’ goals; creating intrigue and shaping distinct spaces that fit unique clients. Allisen uses a variety of mediums to develop and communicate design; starting with compiling precedent images and generating quick sketches in the schematic phase, she follows with refined CAD-based design drawings. Introspecs regularly partners with compatible, high-integrity professionals who communicate, contribute to solution-oriented and value engineering processes, and whom enrich the overall project experience for the clients and design/build team. We always look forward to new collaborative opportunities. Our services range from design and arrangement of furnishings and accessories to specification and selection of surfaces and finishes for new construction and renovations. 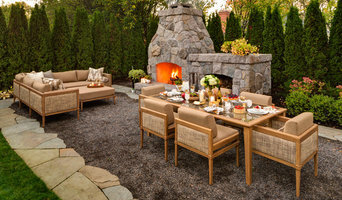 We connect with you to understand your vision for your space, then build a team of professional contractors, builders, architects and craftsmen who will help to define your priorities, develop your ideas and bring your inspiration to life. 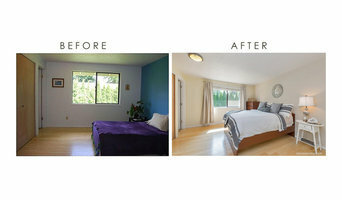 Nothing is more satisfying than helping my clients create the home of their dreams. I am often involved in the remodeling process from inception, but also enjoy refreshing an existing room with just a few pieces of furniture and some accessories, in order to make it feel like new. . It's those final details - the personal touches - that really make a house a home. Our design team offers the best value for your investment and exceptional, remarkable service you will remember for years to come. 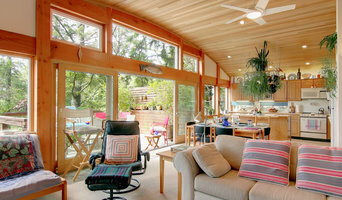 We are a full service boutique interior design house in Portland, Oregon. We allow a beautiful backdrop for life’s special moments creating interior spaces that relax the soul and invigorate the spirit. We work with quality materials and textiles and the most talented contractors and artisans to create a unique, tailored and stylish space for our clients. What we enjoy most about our work is the nuance and individuality of each client we serve. As a skilled interior design team, we bring together individual selections that speak to one another and create the right amount of harmony and contrast. Style and preferences are unique to each client, and we work tirelessly to embody that vision. Portland's Premier Interior Designer - Best of Houzz 2016! With 30 years of experience and an architectural background, I specialize in honoring the vintage of the home in all of the details that make the difference! I am a meticulous designer who operates from an inner constitution of intentionality and specificity in my design process. I take a holistic approach to design and I notice features that many overlook. My specialties include Mid-Century Modern, Victorian, Craftsman and modern custom new construction. I love making the tiniest of spaces function maximally, and when it comes to color and furnishings, I have an art director's eye and seek out unique pieces with a mix of vintage and new that both function and tell a story to turn the reality of house into the dream of home. I am based in Portland Oregon and also have a satellite office in San Francisco. I look forward to partnering with you on your project! Our practice is shaped by a respect and appreciation for the diverse styles of architecture and design coupled with a simple, clean and refined aesthetic. We strive to achieve a balance of historic, modern and thoughtful design in every project. We love what we do. We love working with our clients and all of the vendors and contractors in their various fields. We strive to be professional in an approachable and personable way (and with a down to earth sense of humor!). We are confident in our vision and with the ability to provide a range of the services, we cast a wide net creatively. Shannon Baird has more than 25 years experience in the design field. Beginning with her own personal assistant business for clients at Wieden+Kennedy, she quickly added additional services, branching out to become a designer and realtor. With her background in real estate, she has an understanding of the whole process, starting at home buying and ending with design. Her perspective and design knowledge has been referred to as sort of gestalt-like--seeing the whole picture and knowing all of the details that are involved in a project. It instills confidence for her clients towards their work. A native of Portland, Shannon has a deep sense and understanding of the community, culture and arts in the Pacific Northwest. Anna Carmel is originally from North Carolina but is now proud to call Portland home. She earned a BFA in Interior Design from the Savannah College of Art and Design in Georgia. During school she had internships in Miami and studied abroad in Provence, France where she gained an appreciation for the skill & hard work of the building trades. After graduating in 2006, Anna spent half a year traveling around the globe, falling in love with a diverse array of cultures, design aesthetics and principals. Her love of traveling continued across the US and she found her way to Portland in 2007. Her travels influence her design style and she is fascinated with the relationship between people and the built environment. For nearly twenty years, Christina E. Birtcher has been an active and highly respected member of the interior design community. Her work has been featured in a number of national and regional design publications, in addition to two hard cover books by Feng Shui master, Clear Englebert. An avid student of the art of design, Christina has lived, worked and studied in locals ranging from Paris to Hong Kong; from the rugged and rustic Oregon Coast to the islands of the South Pacific. Christina has been a Certified member of the Interior Redecorator Network (IRN) since 1999, a nationally-acclaimed interior design organization based in New York City, which has been an industry leader in espousing the "use-what-you-have" philosophy. "I strive to involve, inspire and inform my clients by helping them to make the most creative use of what they already have as the foundation in designing an attractive, comfortable, and functional home or office," Birtcher says. Services include assisting in new construction, remodels, E-Design, and one day interior refinement and balancing. Having designed everything from studio condominiums to multi million dollar estates, dental offices to boarding kennels, experience in both residential and commercial projects affords a unique and valuable dimension to Three Roses Interiors. Consultations for blueprints, color refinement, coordinate color palettes, real estate staging for homeowners and real estates professionals are all part of the services offered. Assistance in locating that perfect area rug, furniture item, etc., for an hourly shopping rate is also available. Three Roses Interiors has built a large catalog of resources, saving clients time and money in the process. A multi-disciplinary studio that strives to elevate human experience through mindful and innovative design, DYER STUDIO offers a dual focus on creating exceptional interior products as well as memorable environments. A good home design professional will hone your style down to its very essence and be able to choose a functional layout that feels natural to you. Interior design companies can be involved as much or as little as the client desires. Many clients who hire an interior decorator in Johnson City, OR — particularly those who are remodeling — have a good sense of how the room should look and what products they should use. Often clients will insist that interior decorators use the products already present in the house. Other times a designer will need to start from scratch — especially if this is a newly purchased or just-built home. An interior design company will need to figure out exactly what the client needs, which includes organizing rooms, picking flooring and wall colors, and finding furniture to complement it all. Sometimes that means he or she will have to recruit help from other Johnson City, OR home professionals to help create the perfect look for your renovation. Here are some related professionals and vendors to complement the work of interior designers & decorators: Architects & Building Designers, General Contractors, Home Builders, Design-Build Firms, Photographers. 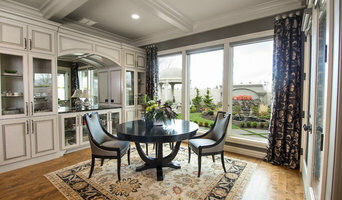 Do your research before meeting with an interior designer or home decorator in Johnson City, OR. Ask yourself what you want your space to become and what it will be used for. Figure out the extent of what you need help with, what your must-haves are and what your budget is. Interior design services can add up fast, so be up front with a potential design firm or individual from the beginning. Also, pick an interior decorator that fits your style. Browse through the portfolios of different Johnson City interior design firms and decide if you would live in those houses. Just because you like something doesn’t mean you could live in it. There's a big difference! Find an interior designer or home decorator in Johnson City, OR on Houzz. Narrow your search in the Professionals section to find Johnson City interior designers near you. You can also look through Johnson City, OR photos to find a room you like, then contact the design firm who designed it.